BUENOS AIRES, ARGENTINA-Rain or shine, the scene is the same every Thursday at 3:30 p.m. at the Plaza de Mayo in Buenos Aires, Argentina. 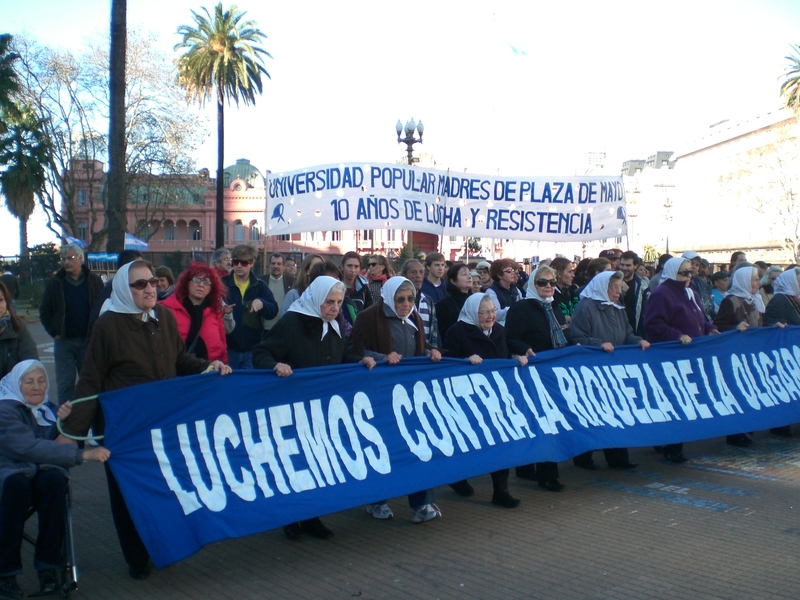 Elderly women in white headscarves gather to walk around the plaza. They are joined by family members: sons, daughters, grandchildren, and even great-grandchildren. Most hold signs with pictures on them. They gather to seek justice for their children. These are the Mothers of the Disappeared. From 1976 to 1983, a military government ruled Argentina. During this time, it was common practice for the military leaders to declare that the country needed to be purged of people deemed to be radicals or terrorists. The preferred method of dealing with these people was to simply kidnap them, never telling the families of their fates. It is estimated that twenty to thirty thousand people disappeared during this period know as the Dirty War. When the families tried to locate their missing loved ones, they were most often told by the military that there was no record of the missing person. Occasionally the families were told the missing person had been taken to a prison or concentration camp. Mothers were the ones who most often went in search of answers. Uki Goñi was a journalist in Buenos Aires during the Dirty War. He recalled the mothers coming to the paper where he worked to plead for help finding the children. He said it was most often the mothers who came, distraught with grief, while the fathers begged the women to remember the family’s other children, lest they be taken next. In the search for their children, the mothers began to meet each other. 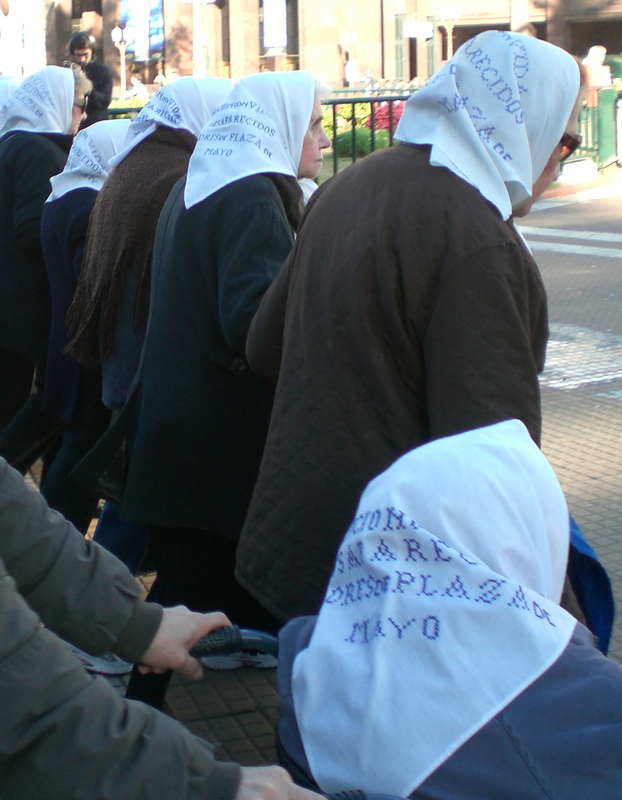 Out of desperation and an absence of answers, the mothers decided to go to the Plaza de Mayo. According to EasyBuenosAiresCity.Com, a travel website (http://www.easybuenosairescity.com/biografias/madres1.htm), they chose the plaza because it is across the street from the Casa Rosada, which is the Government House, and because the plaza is traditionally a place for demonstrations. The first meeting was April 30, 1977 at 3:30 p.m. This time was chosen because the plaza would be filled with people. The women began to march around the plaza because there was a law against people gathering in groups larger than three and moving helped them to avoid breaking the law. The marches were a way to draw attention to the missing children and the government’s inaction and outright denial of the kidnappings. Even after the military government was removed from power, the mothers were not told what had happened to their children. In order to be recognized, the mothers wear white headscarves. The scarves have the names of their children embroidered on them. 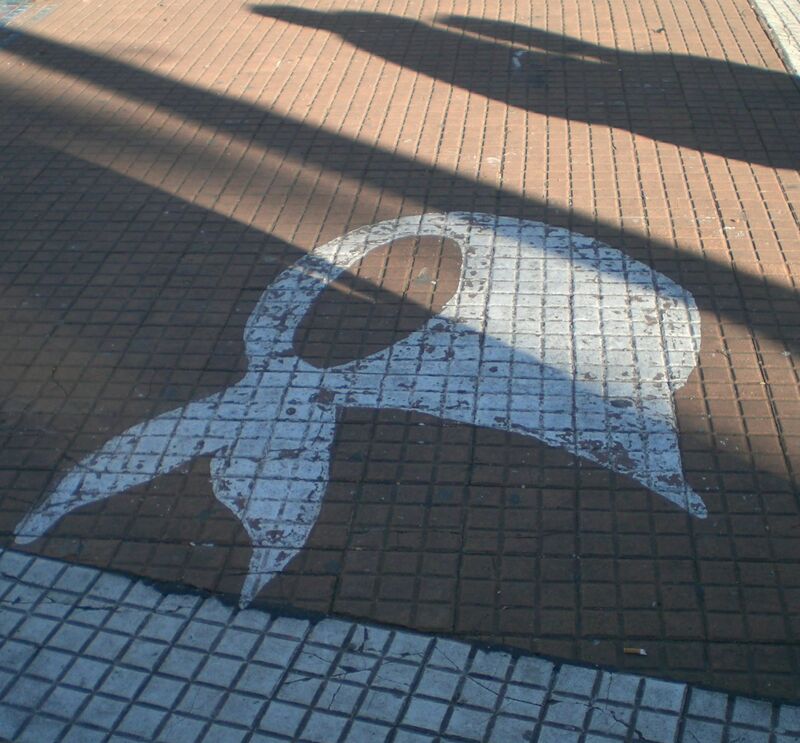 This has turned into the symbol of the mothers and white scarves are painted around the plaza. The mothers carry pictures of their children as they march, and the names of all the missing are called out. As each name is called, the mothers and supporters reply “presente,” signifying that their children are indeed present. Thirty-three years after the marches began, the mothers have still not been given answers about their missing children. 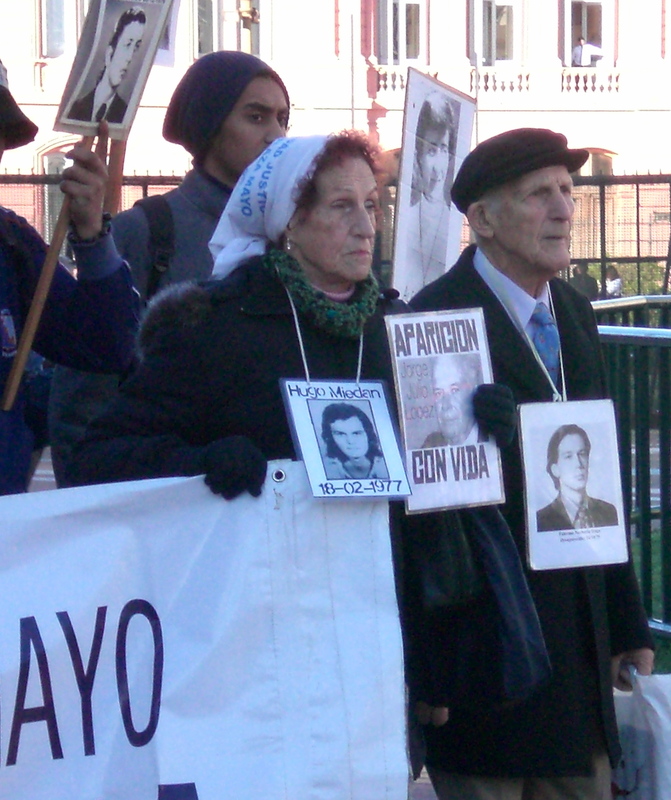 They continue to march every Thursday from 3:30 to 4 p.m. to raise awareness about the Dirty War and in hopes that the government will one day tell them the fate of their children.